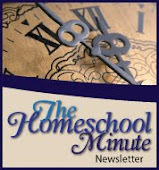 I have been asked... in many instances... since we have begun our travels; "How do you homeschool on the road?" Especially as we have not been in any one place for very long to establish "routines" which could progress us through workbooks (or any other unit of study)! I give credit for our year thus far first to God of course! And second, to how He led me through studying up on the Charlotte Mason method this past summer. It was her message and Pocketful of Pinecones that taught me to think outside the box more than ever. Even with one high schooler and record keeping, we are working our way through our lesson plans this year. One day at a time, step-by-step... and not always as school typically "looks". Like the week before we left, our travels were "kicked off" with a gift of flying over the mountains that bordered the valley we lived in for 14 years. Brenden and Ashley both got a turn to learn some Piloting 101 and feel, at the controls, what it was like to battle wind sheers, fly in circles and even land a plane! As most public and homeschool students began their school year, we prepared for our journey by a week long retreat where the children were daily in P.E. learning how to canoe and even spent time in Engineering problem solving the building of a TeePee shaped fort for some of their toys to "play" in! We read and played and talked... all in ways that just happened to boost information and skim the top of learning moments at every step. And as we hit the road, these moments increased. Journals were brought out, diagrams were made, letters were written and discussion increased. Such as discussion on government, which Ashley studied in depth last year and the others will study soon. State capitals, senates and houses... Art was added to history discussion after viewing many of the murals and bronze statues in our state's capital. And while I could post pictures of geysers and hot springs, I thought I would share a picture of us exploring the unexpected from our geology adventures in Yellowstone: BLACK rock evidence of a volcanic lake. We were all captivated in exploring this and other rock forms evidence of present and past activity in this region. (Don't tell the national parks... we started a collection!) Oh... and I thought I would share a short video of the kids' favorite: boiling/bubbling mud! And after crossing the continental divide 4 times in 24 hours... the children were not only seeing the beauty of continental movement, but they were also learning that continental divides can be mountains too! And we all found that miles of road construction and delays can happen at 10,000 feet just as easily as it can at 3000 feet or below!! ... walked the ruts like many before us did as wagons headed west (even if we were heading east!) P.E. again hiking around the memorial park to see all the great evidence left behind from more than 150 years ago! ... history at the gateway arch... a bit of meteorology thrown in as tropical storm Issac whipped through! History and Geology in the unexpected... simply stopping to use the bathroom at a rest stop in Missouri we found ourselves in a fascinating walk-through display of one of the worst earthquakes in American history. Science and history meet at the welcome to Alabama center on I65 where an original rocket from NASA's space program can be seen for miles. History comes to life as we walk the footsteps of the Civil Rights movement in downtown Birmingham, AL. Imagining Martin Luther King's speeches on the courthouse steps and the men and women in-mass marching for what was right and true. Not all of the history we found was on the schedule for this year... but should that matter? These are still opportunities... and we took them in their various forms. We journaled our experiences, drew pictures, and read deeper into facts. We did our Bible Studies, ran through math flash cards when we weren't somewhere to pull out our books, wrote letters, filled out maps and continued reading and discussions. Bookwork has happened. Not always daily... and not always weekly on this trip. But it has happened on tarps at campgrounds, picnic tables, bedroom floors, library corners, and dining room tables. Bookwork has happened in the car and restaurants and on porches. And they are progressing... they are learning. They are applying. Reading Swiss Family Robinson has inspired them to think outside the box for the materials we need. Like brooms, made from tree branches! They are helping and learning how to care for a garden, different then the one they are use to mom growing. But past experience helped with current needs. They are sharing their hearts as they volunteer. Realizing need did not only exist in our valley back in Montana... but that it is everywhere and their abilities are more then sufficient for the work that needs to be done. Experiencing theater in forms new to us all... like the youth group trip to Judgement House at a local church. More engineering, raking the outline of a house and all its amenities... life size! Applying our observation skills to compare, contrast and then make artwork with local leaves; some from trees we don't have where we are from. Applying coordination efforts to learn how to drive a riding lawn mower, Brenden's first experience! And etiquette was put into practice... yes, even for Brenden... as we all enjoyed a tea party with grandma! How do we do it? I don't know... God guides our steps. We Bible study every day, pray every day, and lean into the Lord to know our bookwork vs. explorations will all balance out for a complete and productive school year. My wager? This will be their most memorable year yet! Don't be afraid to school outside of the box. It isn't always about the book work or the time spent at the table. It isn't that you have to log a 'textbook' version of an 8 hour school day followed by 3 hours of grading. Sometimes, it is simply about just learning... where ever we are. It is about raising children who will ask questions, always desire to explore the world around them, and see the details in all that they experience. I pray you are embracing the joy of homeschooling this year... taking time, thinking outside the box, and growing in grace all along the way! Schooling outside the box makes homeschooling come alive. We dropped traditional methods three years ago and I truely haven't looked back! Thank you for stopping by and sharing! I hope others read your post and are encouraged to know some things can be let go - that greater things may be embraced! What amazing learning opportunities. I'm sure you are right about this being the most memorable year. It has been a wonderful adventure this year... not that schooling in our own backyard can't be. But I must confess, I was a bit concerned when God called us on this trip - how I would still get all that learning in! Now I wonder how I was ever concerned to begin with! So cool! I would love to travel around in an RV with the kids and see what there is to see in the U.S. You and the kids are experiencing some wonderful historical and natural areas! Yes indeed! We were called into the south for Missions work. We came down in a van... rather cramped! But God has called us to trade for an RV. It has needed some work, but I am looking forward to enjoying the rest of our travels in its comfort... schooling will definitely be a bit easier! 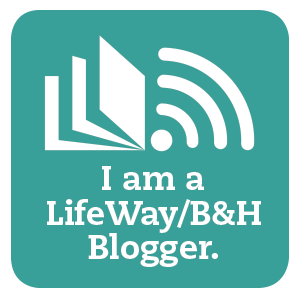 Savannah, you have a lovely blog and I would be honored to link up. I have added your button to my site in support :-) Thank you for your encouraging comment. When I first lived in Montana my oldest was 3 and we lived on a mountain top, in the middle of 80 acres bordered by forest service - we had as many adventures then as our family is having now in travels. God's creation is full of discovery and learning/developing opportunities no matter where we are and it sounds like you and your family know how to embrace that! God Bless you in all your exploring!